Miss the first set of advice for applying to internships? Check it out here. Yeah, you read that right. 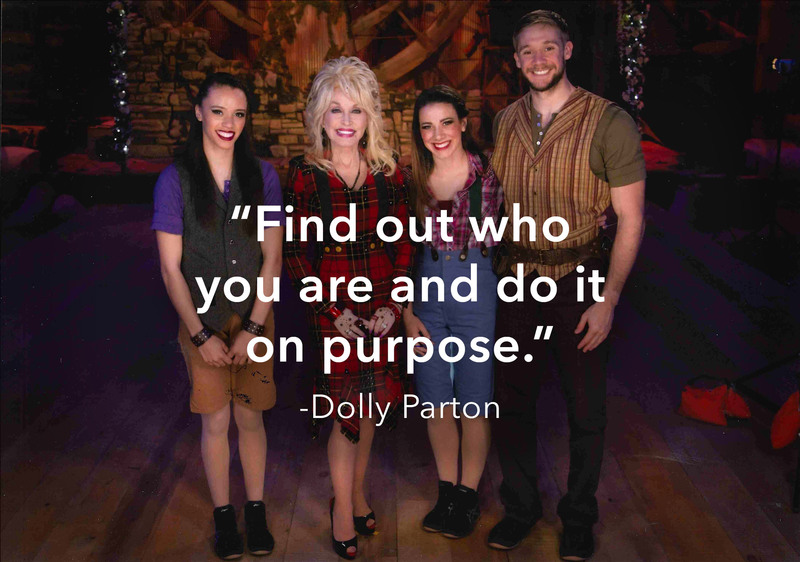 Before joining the DEVENEY team, I worked for Dolly Parton. The information I shared about this experience in my cover letter is what set me apart from other applicants and eventually landed me the position. However, I included more than just my experience with Dolly and it paid off. Sounds easy, right? It can be, but it can also be just as easy to mess it up. Do: Work for an extremely well-known celebrity. Don’t worry, I’m joking. However, it is good practice to focus on and give more context to your unique experiences in your cover letter. Don’t: Go over one page for your cover letter. This is a brief introduction and summary, not your life story. Do: Connect to the company you’re seeking employment by incorporating tone and themes they use in their works and websites. Pull words from the company’s website that are emphasized and incorporate them into my cover letter. But, be sure not to overdo it, a simple reference to show attention to detail is all that’s needed. Don’t: Send the same exact cover letter everywhere and every job you apply for. It is okay to have one cover letter that you use as a template, but it should be significantly altered for each potential employer. An easy way to remedy this: keep the first and last paragraph similar and adjust the middle paragraph, according to the position and company. Do: Keep the company constantly in mind while writing your cover letter. Is the company more formal or casual? What experience best relates to the work the company does? What would stick out to you if you received this letter? Be concise and to the point, don’t overuse the synonym button. Don’t: Lose personality. No one wants to read a lackluster cover letter. While a cover letter should be professional, it should also show who you are, along with the creativity and hard work you offer. Do: Double and triple check before sending. Whatever you do, spell the company name correctly. Spelling, grammar, and formatting errors can easily kill the credibility and professionalism of a person. At DEVENEY, we follow a strict two-sets-of-eyes policy on every document before it is sent anywhere. This ensures that we catch even the smallest of mistakes, and maintain our promise of attention to detail. Don’t: Expect the employer to take all the action. Request an interview or state you will follow-up, and then do so. 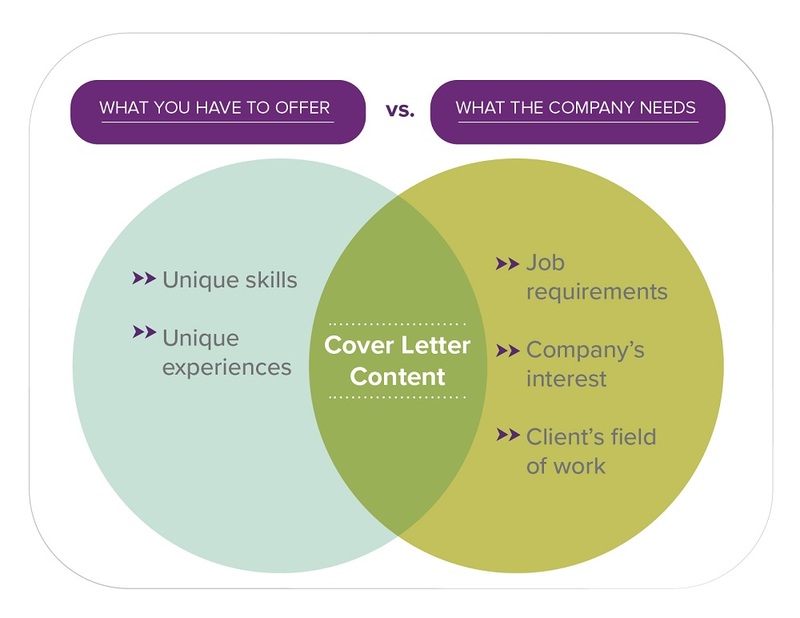 This Venn diagram is a great starting point in understanding the best content to include in your cover letter. What’s your most unique experience you like to include in your cover letter? Tweet us @DEVENEYMKTG and let us know.